If the Galaxy S6 and Galaxy S6 Edge just aren't cutting it for you, then fear not because Samsung has got two new high-end smartphones on the way that should fill the void, and some. We're talking about the Galaxy Note 5 and the Galaxy S6 Edge Plus; two of the most anticipated phablets of 2015. And going from these new snaps, we're sure as hell excited. Courtesy of the notorious @Evleaks - a.k.a tech tipster Evan Blass – we've got our best look yet at the duo as they strut their stuff in a high-definition press render. And we're loving them. 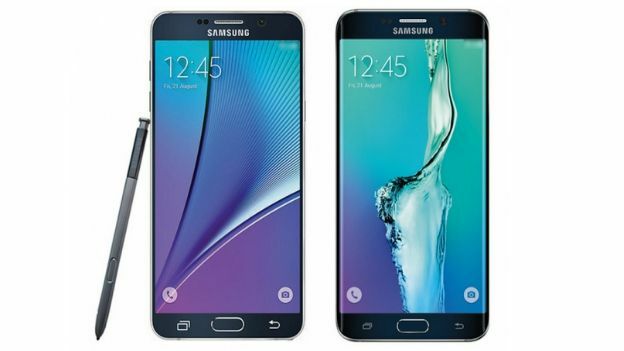 The Galaxy Note 5 seems to have borrowed the design from Galaxy S6 while the S6 Edge Plus appears to just be a larger (and probably more powerful) version of the smash-hit S6 Edge. Both phones have 5.7-inch screens, of 2560 x 1440 pixel resolution just like the S6. If we were betting folk, we'd strongly put money on the phablet duo showing up at Samsung's Unpacked event on August 13. We may well see the Samsung Gear A smartwatch tag along too.